There are things you read and get sad. There are things you read and get ANGRY. MAD. There are things you read that get you ANGRY and make you SAD at the same time and that is Disaster. It saddens me to see people open their mouth and spit out venom. Bile. Trash. Dirt. 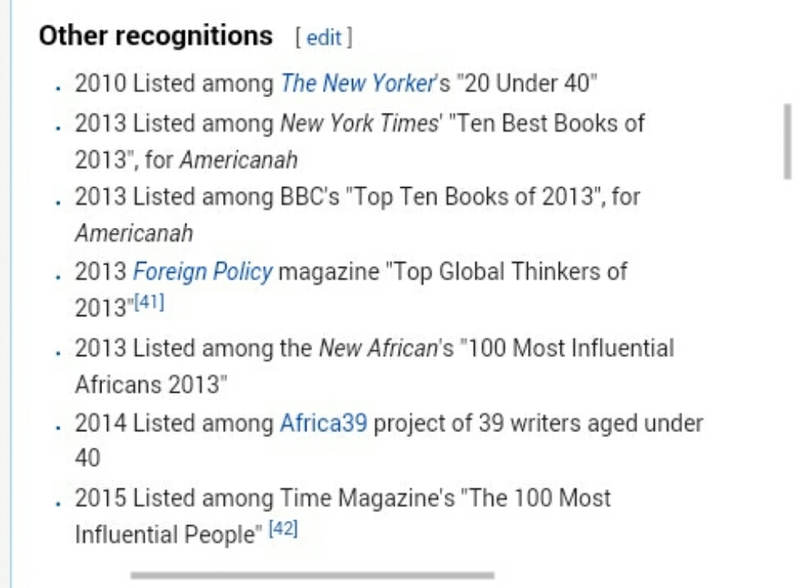 You all know Chimamanda means so much to me. She’s a sacred part of my existence. Part of my becoming, unveiling. Now imagine the anger I felt reading this myopic piece of Facebook post. With the internet everyone is at liberty to say something and some people say STUPID THINGS. Maybe out of frustration or plain boredom, I have no idea but what they say end up being completely stupid. 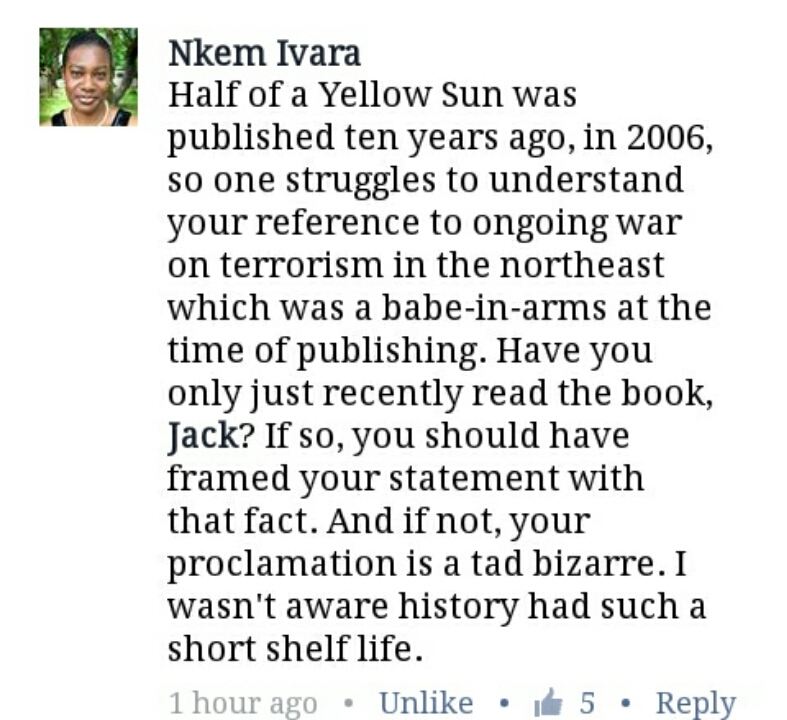 This UNCLE JACK said Half Of A Yellow Sun is the “over-flogged” narrative. My Jesus! Before half of a yellow sun people like me only had a faint idea of the Biafra war. I am Igbo. 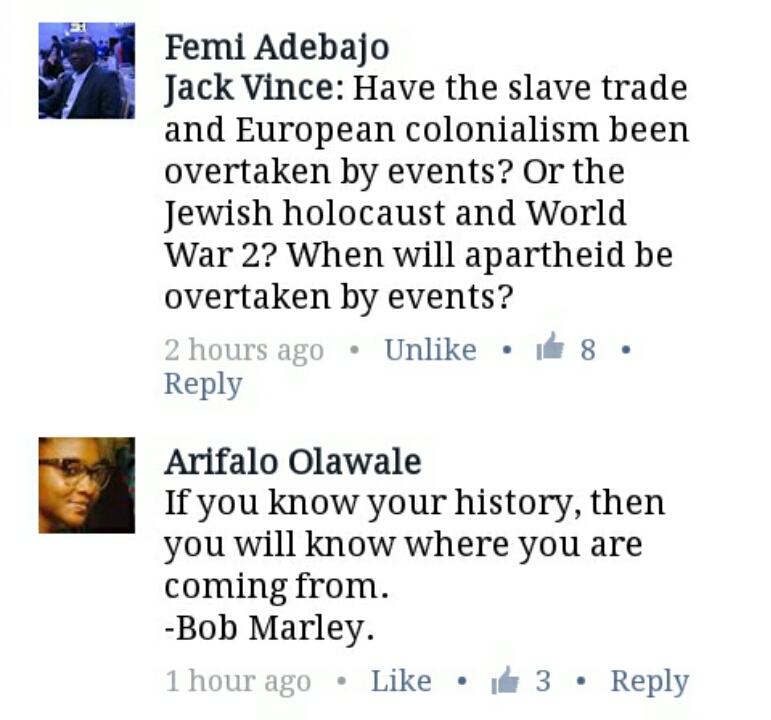 The Biafra story might not interest a Dolapo or a Kunle or an Aisha, but it interests me. It fascinates me. It is the past of my father who experienced the war at the age of 6/7, it is the past of my father who survived by eating frogs and it is the past of Nda Gold, my dad’s elder sister who walked every day from Ngor-Okpala to Mbaise just for food. It is the past of my maternal grandmother and her mother. My great grandmother pushed her children into the tiny window space of the train that was headed to Umuahia from Port Harcourt, with the tiny strand of hope that she would meet them at Ihite-Uboma. But these stories were only told at home, not stirring much of a discourse until the arrival of the great book that changed the way we talked about the War. 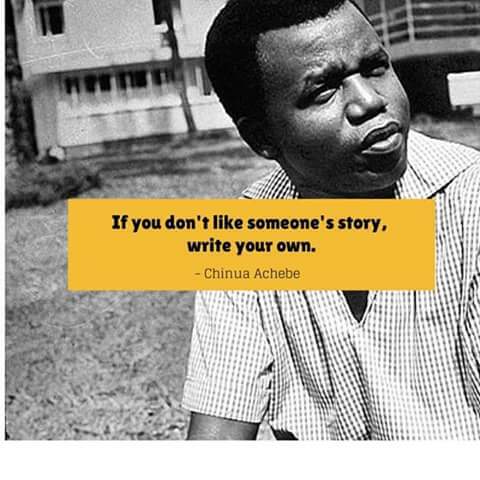 God bless Adichie for telling our story. 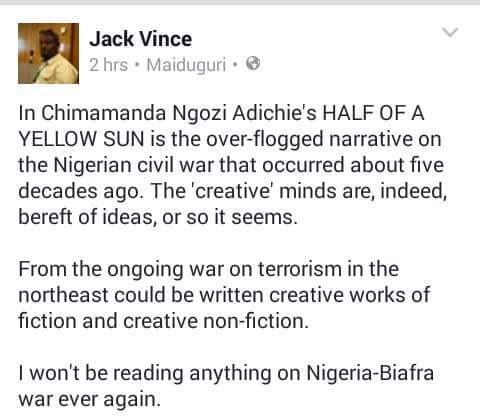 When Adichie wrote HALF OF A YELLOW SUN, Nigeria was still somewhat sane. The Bokoharam people were not constituting nuisance and the North was okay. 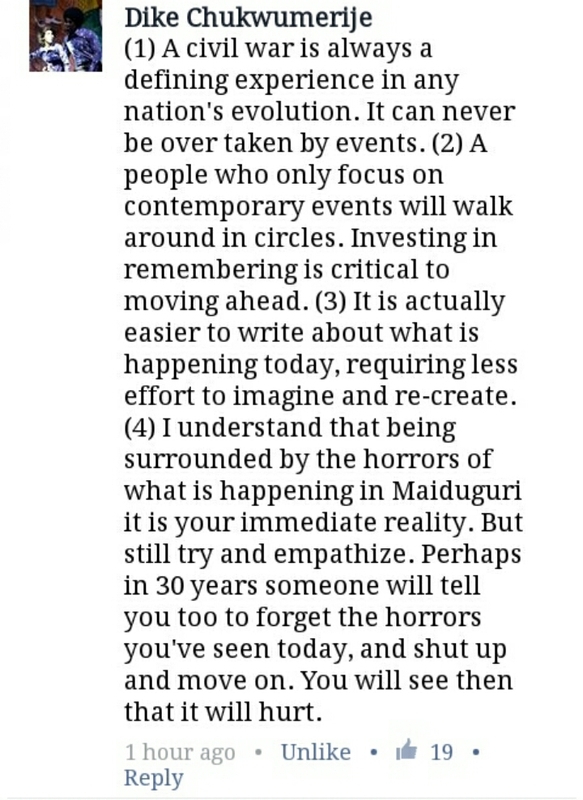 Truth be told, Adichie isn’t really affected by the ongoing terrorism in the North. I’m sure she can come up with a story for it but it wouldn’t be her experience and it would be different. Think about it; How can I write something that I haven’t experienced? Half Of A Yellow Sun is how I got to really learn of the Nigeria-Biafra. It’s number 2 on my favorite novels of all times. 2nd only to Purple hibiscus. And 2nd maybe just because I read the other first. This Jack is jack. and jack(according to the dictionary, yeah) is NOTHING – Left-ear Magnus. 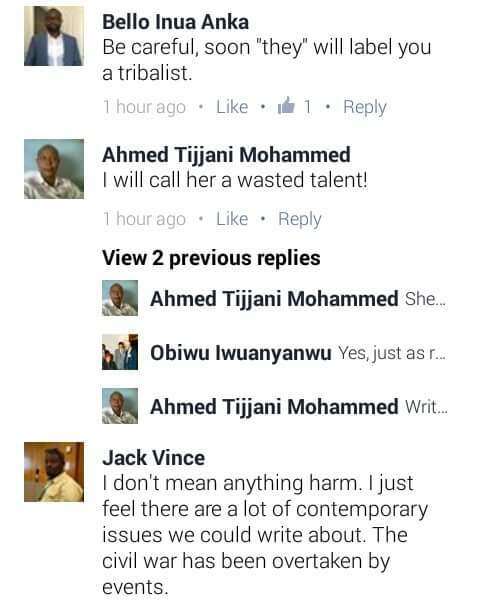 ADICHIE A WASTED TALENT?! DID YOU TAKE WEED?!?!?! So much to say but I’ll stop here. The Night Is Dark And Full Of Terrors. Lol. So much hurt in your tone Chimdinma. I’m pained sister. Like really pained. Evidently. But then again, when you think about it, bad belle’ing other people’s work is some people’s “writing their own” story. It’s all they do. I read Half of a Yellow sun in 5 days. The most time its ever taken me to read a book and I’ve watched the movie. If you ask me which I prefer. I’d pick the book a million times. Books are investments. In them you could find your origins and history. That way the younger generation and generations yet to come never forget how their ancestors to get to where they are. The movie was messed up. Seriously. I mean so many things were missed up. Remember the part in the book where Olanna was coming back from Kano in the train and she sat in front of a woman who kept the face of her daughter in a calabash. How do you put that in a movie. Or the part where stomachs of pregnant women were slashed open. I’m all for books anytime!!!! That part right there was very vital. The movie should have depicted that. The movie was messed up. Seriously. I mean so many things were messed up. Remember the part in the book where Olanna was coming back from Kano in the train and she sat in front of a woman who kept the face of her daughter in a calabash. How do you put that in a movie. Or the part where stomachs of pregnant women were slashed open. I’m all for books anytime!!!! That’s the most time it taken me to start and finish reading a book. And I ultimately love it. I saw the movie later on and if you ask me which I prefer it’ll be the book 100% . Books are investments for the younger generation. People need to understand that.